Where everyone else saw a tear-down, Lauren and Chris Dickey saw their future home. Lauren and Chris Dickey spent eighteen months remodeling their home, an attached apartment, and a separate office building near the base of Snow King in East Jackson. Doing as much of the work themselves as they could, they were able to keep to a budget of about $150 per square foot. 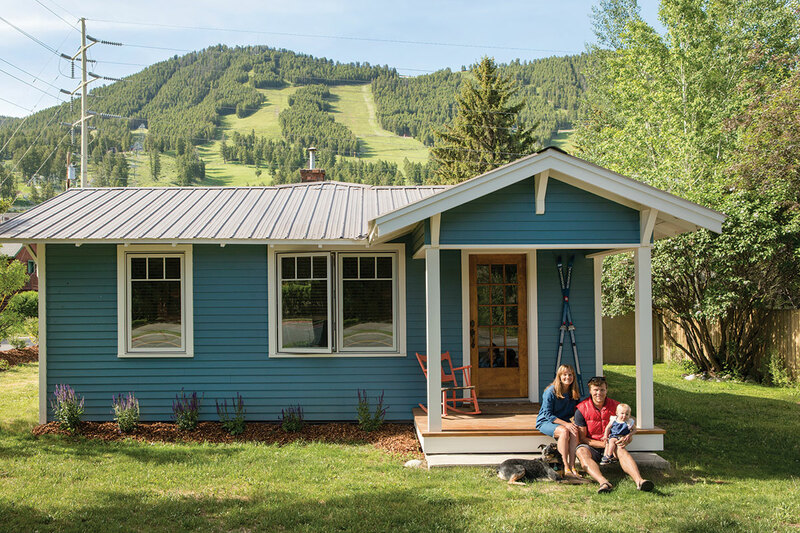 Lauren and Chris Dickey weren’t looking for a huge remodel project; the thirty-somethings were looking to start a family. Still, there was this property in East Jackson that had a house and a commercial industrial building, albeit both in serious disrepair, that Lauren passed by a lot. “I biked past most days,” she says. It had been for sale forever. And then the rent at Chris’ office space—he’s the founder of Purple Orange Media Group—doubled. One day Lauren suggested to Chris the “crazy idea” of looking at this interesting-but-dilapidated property. “People had been overlooking this property for years,” Chris says. “It really was a tear-down, and it was being sold like it was a tear-down.” But the Dickeys didn’t look at it that way. 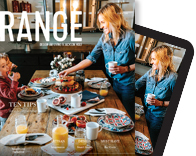 “We walked through and got a vision of what we could do with it—take the garage and turn it into an ARU (accessory residential structure, which can be rented out), and make the industrial building Chris’ office. With all of this, our mortgage would be less,” says Lauren, the education director for Friends of Pathways. 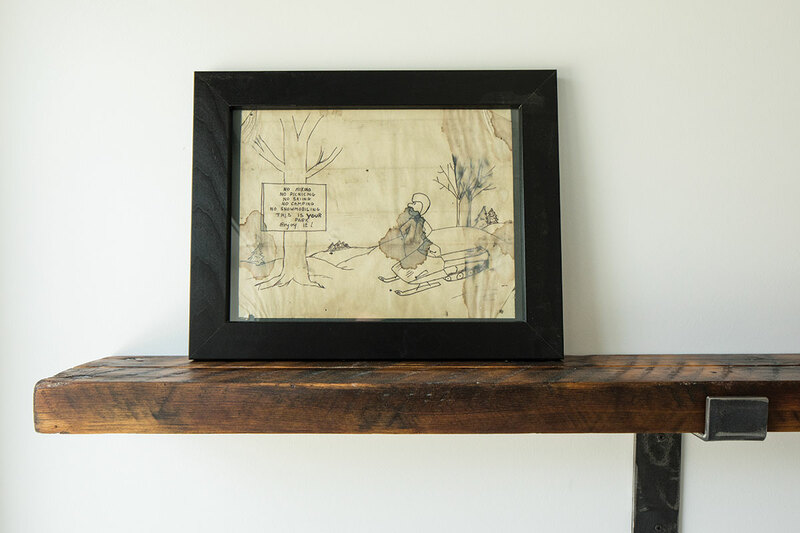 “It seemed like a no-brainer.” Chris adds, “What we glossed over was how much work it would take to get it to our vision.” The day Lauren and Chris learned they were having a baby, they put in an offer on the property. It was accepted. Lauren and Chris’ home was built in 1934 and added onto in the 1950s. They found everything from tools to old newspapers when they tore out walls. The front door has a thick glass pane in the center. “We spent a ton of time, not money, refinishing that door,” Chris says. 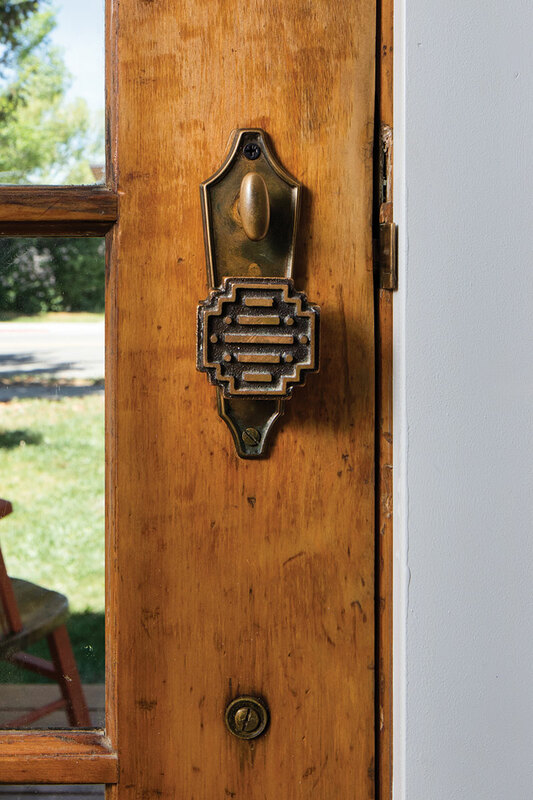 The couple found a doorknob dating from the same time as their door—their original knob was long gone—on the front door of a small house across the street. That house sold during the Dickeys’ remodeling, and its new owners had plans to raze it. “We asked if we could take the doorknob,” Lauren says. To make the kitchen larger, the couple made the master bedroom a little smaller. The couple ripped up all the carpeting and refinished the oak flooring hidden beneath it. They also refinished all of the interior doors. 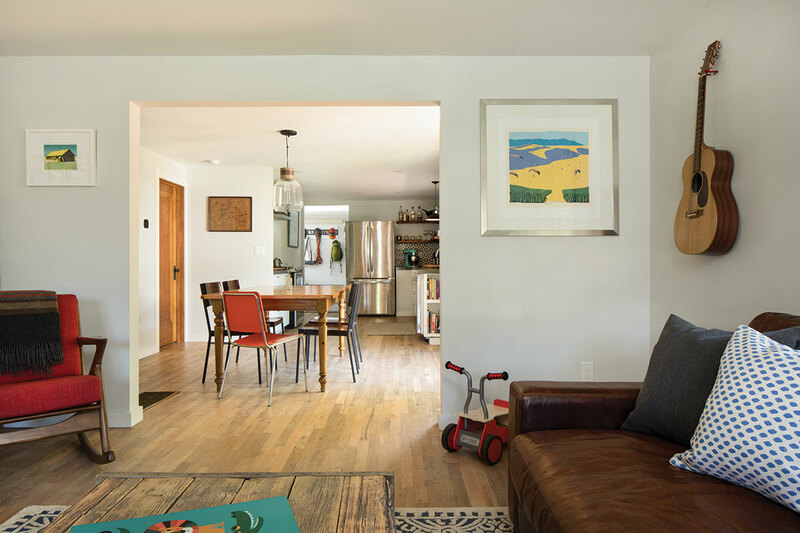 The kitchen cabinets are all original, and the open shelving is made from two-by ten-inch planks formerly in the home’s carport that Chris refinished. The tile backsplash is new. 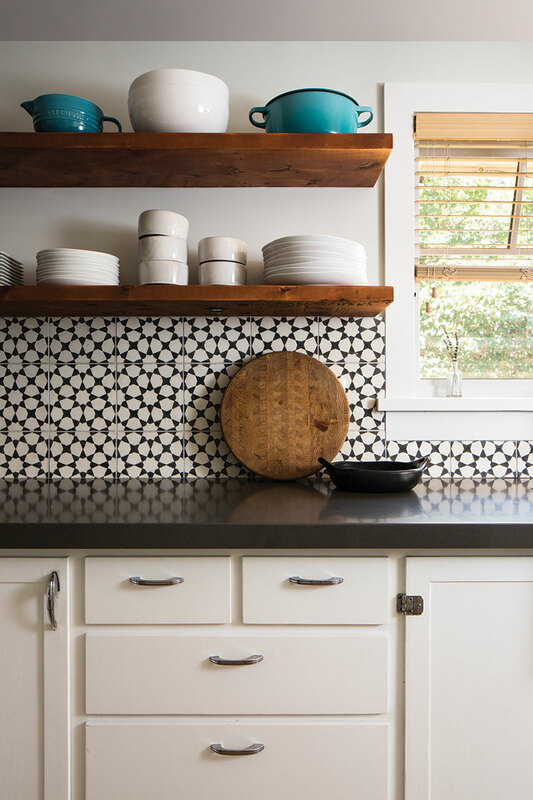 “I wanted really fun tile in the kitchen,” Lauren says. The original doorknob to the front door was lost long before the Dickeys bought the home, but they salvaged a similar one from a home across the street that was razed while they were remodeling. The accessory residential unit (ARU) and the house were finished (respectively in July 2016 and October 2016). 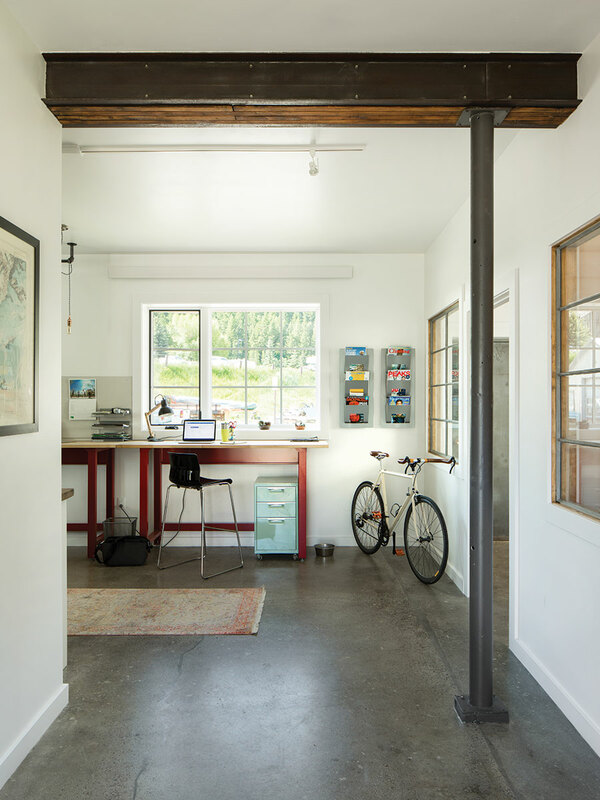 The office, which had been a working machine shop, was completed this spring; it took nearly one year to get the permit to remodel it. “We were taking out the blowtorches and putting in computers,” Chris says, “but that is a change from commercial industrial use to office, so it was more complicated.” The couple had to show that their use of the 947-square-foot building would be lighter impact than the original. The Dickeys knew what they had with all of the old wood at the property. In addition to the carport planks now serving as kitchen shelving, there is enough old wood to make shelves for Chris’ new office. The windows dividing offices from the main open-air workspace in the remodeled office are the building’s original external windows. “They were old steel window frames with poor energy insulation,” Chris says. “But they were really cool, at least after we cleaned them off painstakingly.” Chris even made a homemade oxidation solution “to return the shiny metal bits back to a gunmetal gray.” The original glass was also replaced by tempered glass. “We had plenty more of these steel windows that we didn’t use but couldn’t find a home [for them], even for free via Facebook and classified ads. It was painful to take them to the recycling center,” Chris says.